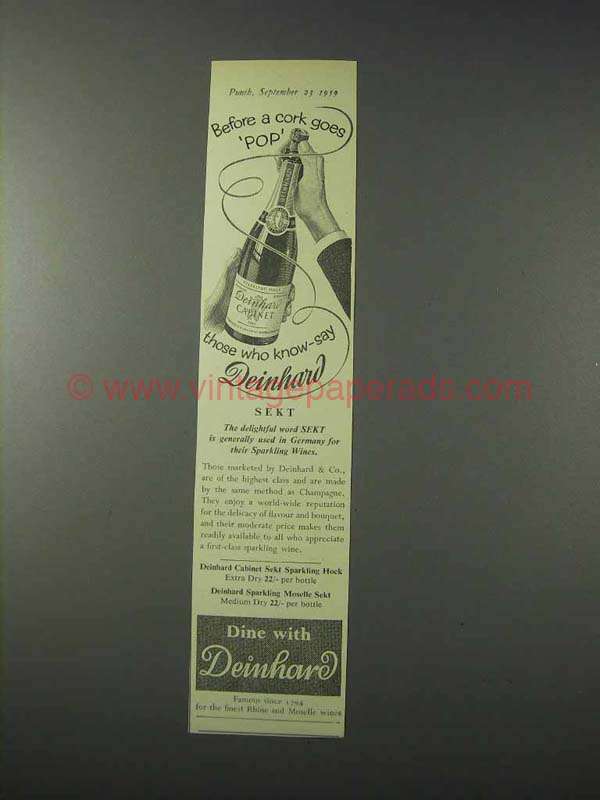 This is a 1959 ad for a Deinhard Sekt Sparkling Wine! The size of the ad is approximately 2x9inches. The caption for this ad is 'Before a cork goes pop' The ad is in great condition. This vintage ad would look great framed and displayed! Add it to your collection today! 1949 Devaux Champagne Ad - Do you agree?